Welcome To The CCVES Web Site! 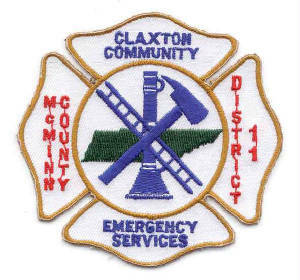 The Claxton Community Volunteer Emergency Services is an all volunteer department providing fire suppression, first response rescue and first response EMS to our community in McMinn County in southeast Tennessee. Email comments, questions,and suggestions to our webmaster.